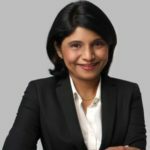 In a decision rendered by an Assistant Registrar at the Intellectual Property Office of Singapore (IPOS), IPOS held that an application for declaration of invalidity of Royal County of Berkshire Polo Club Ltd’s trade mark failed on all grounds. A limited partnership existing under the laws of New York. A polo club founded in 1985 in the County of Berkshire, England. Owner of (the “Subject Mark”) in Classes 9 (eyewear), 18 (leather goods) and 25 (clothing, footwear and headgear). That the Subject Mark is passing off the Applicant’s Earlier Marks (“the Passing Off Ground”, under Section 23(3)(b) read with Section 8(7)(a) of the Trade Marks Act). Whether the afore-mentioned grounds of invalidity were proven by the Applicant on the balance of probabilities. The ground of invalidation on the basis of the Similarity Ground failed. The ground of invalidation on the basis of the Well Known and Damaging Interest Ground failed. The grounds of invalidation on the basis of the Passing Off Ground failed. The application for a declaration of invalidity failed on all grounds. The law on Section 8(2)(b) is well-settled in Singapore. The Court of Appeal in Staywell Hospitality Group v Starwood Hotels & Resorts Worldwide  1 SLR 911 reaffirmed the step-by-step approach. The first element is to assess whether the respective marks are similar. The second element is to assess whether the goods or services for which registration is sought are identical or similar to those for which the earlier trade mark is protected. The third element is to consider whether there exists a likelihood of confusion because of the first two elements. The first two elements are assessed individually before the final element which is assessed in the round. If, for any one step, the answer is in the negative, the inquiry ends and this ground of opposition fails. In determining whether the marks are similar, three aspects of similarity (i.e. visual, aural and conceptual similarities) guide the inquiry. However, there is no requirement that all three aspects must be established before the marks can be found similar. Distinctiveness is a factor integrated into the visual, aural and conceptual analysis as to whether the competing marks are similar. The more distinctive the registered trade mark, the more is necessary to show sufficient alterations to, or difference in, the sign in order that it may not be held to be similar to the trade mark. Conversely, the more descriptive a mark, the greater the latitude afforded to the defendant in using words or ideas of a generic nature, even if these have some similarity to what is found in the registered mark. In terms of distinctiveness, the Registrar found that the distinctiveness of the Word Mark was extremely low in respect of the “polo shirts” and “t-shirts” goods but normal for all other goods in Classes 9, 18 and 25, and level of distinctiveness was normal in respect of the Device Mark and Composite Mark. Also, going further to consider whether the Applicant’s Earlier Marks had acquired distinctiveness (whilst recognising that whether acquired distinctiveness can be taken into account at the mark similarity stage does not appear to be settled law), the Registrar found that in any case, the Applicant’s evidence was insufficient to show that any of the earlier marks had acquired distinctiveness. The bulk of the evidence showed use of the Applicant’s Earlier Marks in conjunction with highly distinctive words “Ralph Lauren”, and there was no evidence to suggest that use of the Applicant’s Earlier Marks on their own acquired distinctiveness. Bearing in mind the level of distinctiveness in each of the Applicant’s Earlier Marks, the Registrar went on to compare the marks visually, aurally and conceptually. 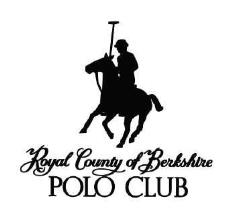 In terms of visual similarity, the Registrar was of the view that the words “Royal County of Berkshire” and “Polo Club” were not negligible components in the Subject Mark and the comparison of the marks cannot be on the basis of the polo player device and/or the word “Polo” alone. Any similarity perceived by consumers in devices used in both marks will be far outweighed by greater degree of dissimilarity due to the fact that the Subject Mark contains 2 rows of text, while the Applicant’s Device Mark has none. Even with imperfect recollection, likely that the average consumer would remember that the Subject Mark is more complex and has much longer textual component than Composite Mark. Word “Polo” is linked to the word “Club” in the Subject Mark. In terms of aural similarity, in comparing the Device Mark with the Subject Mark, the Registrar found that this aspect of comparison resulted in a neutral conclusion. This was because no aural comparison may be undertaken for the Device Mark which had no verbal element. In comparing the Composite Mark with the Subject Mark, the Registrar’s view was that the Composite Mark would be verbalised as “Polo” whereas the Subject Mark would be verbalised as “Royal County of Berkshire Polo Club”, and therefore aurally dissimilar. In comparing the Word Mark with the Subject Mark, the Registrar found that while the Word Mark would be referred to as “Polo”, the Subject Mark would more likely be referred to as “Royal County of Berkshire Polo Club” or “Royal County of Berkshire”, hence aurally dissimilar. In terms of conceptual similarity, the inquiry is to “uncover the ideas that lie behind and inform the understanding of the mark as a whole”. The Registrar’s view was that the marks were more conceptually dissimilar than similar. Whilst the Applicant’s Earlier Marks conveyed the idea of a game of polo, the idea connoted by the Subject Mark, in the view of the Registrar, was the idea of a place or location or a particular polo club, due to the words “Royal County of Berkshire” and “POLO CLUB” appearing in the Subject Mark. In comparing the Device Mark with the Subject Mark, the marks were (a) visually more dissimilar than similar; (b) aurally neutral; (c) conceptually more dissimilar than similar. Marks were more dissimilar than similar overall. In comparing the Composite Mark with the Subject Mark, the marks were (a) visually similar to a low degree; (b) aurally more dissimilar than similar; (c) conceptually more dissimilar than similar. Marks have a low degree of similarity overall. In comparing the Word Mark with the Subject Mark, the marks were (a) visually dissimilar; (b) aurally more dissimilar than similar; (c) conceptually more dissimilar than similar. Marks were more dissimilar than similar overall. Given the above, the Registrar only went on to consider the likelihood of confusion factor in relation to the Composite Mark. The Registrar recognised that there were some identical and/or similar goods in relation to the Subject Mark and the Applicant’s Earlier Marks. meant that there is no likelihood of confusion arising, whether it be confusion as to origin from the same source or confusion as to the origins of goods bearing the respective marks being economically linked. Hence, the ground of invalidation on the basis of the Similarity Ground failed. There was no difference between the similarity of marks comparison in Section 8(2)(b) and Section 8(4)(b) of the Trade Marks Act. The Registrar’s findings as to similarity of marks above on the Similarity Ground therefore applied for this ground as well. Given that only the Composite Mark was found to have a low degree of similarity to the Subject Mark, the Registrar analysed the elements under this ground only in respect of the Composite Mark. The Registrar held that the evidence did not show any use of the Composite Mark, but only at best, use of . On the evidence, it was not proven that the Composite Mark was well known to the relevant sector of the public in Singapore. As such, there was no need to go on to consider the other elements under this ground. Nonetheless, the Registrar found that even if the next element were considered, this ground would nevertheless fail as there was no reasonable likelihood of confusion arising as explained under the Similarity Ground. The ground of invalidation on the basis of the Passing Off Ground failed. Average consumer regard trade marks as wholes and do not usually analyse the various details, hence it was unlikely that use of the Word Mark and/or Device Mark a part of an element of the Applicant’s other trade marks would have made an impression on consumers that was independent of the impression created by the Applicant’s Marks as a whole. Furthermore, there was no likelihood of confusion arising from use of Applicant’s Composite Mark and Subject Mark, as explained under the above grounds. Given that there was also no similarity overall, between the Subject Mark and the Word Mark and Device Mark, the likelihood of confusion arising from the Word Mark and Device Mark was even more remote. As such, the ground of invalidation on the basis of Passing Off ground failed as misrepresentation was not established. The application for declaration of invalidity hence failed on all grounds. Interestingly, the Applicant had tried to rely on the Registrar’s description of device found in the “Mark Index” of the Register to argue aural similarity between the Device Mark and the Subject Mark. The Registrar however clarified that the mark indexing is merely an administrative function undertaken by the Registry to describe the elements that make up a trade mark. The way the Registrar indexes devices in trade marks was clarified to have no effect on the nature of the trade mark or the applicant’s rights in it, and is in no way indicative of how it is perceived by the average consumer. If you have any questions regarding intellectual property, you may request a quote with Renee Xavier. You can also get a Quick Consult with other lawyers with similar expertise from a transparent, flat fee from S$49 and expect a call back within 1-2 days to get your questions answered.